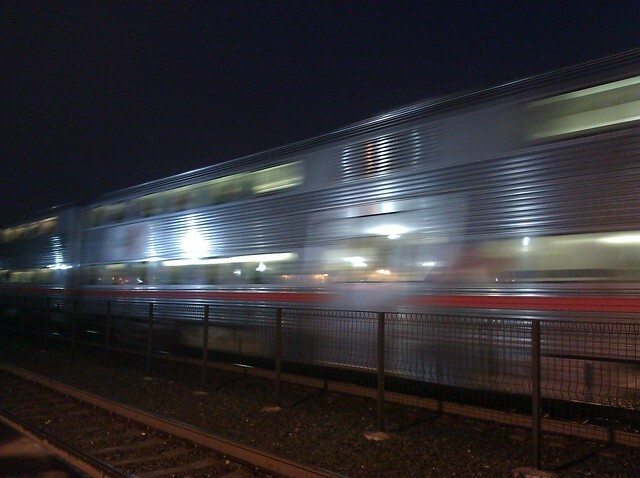 dannyman.toldme.com : Caltrain Goes Zoom! On a recent dusky evening. I like the bit between the upper windows, where the ridged side blurs in to the smooth area around the windows.